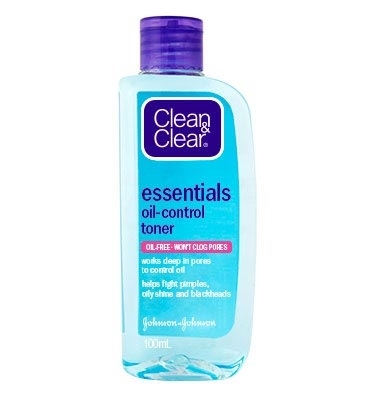 CLEAN & CLEAR® Essentials Oil-Control Toner 100mL contains acne-fighting salicylic acid to help prevent pimples. The second most important step in cleaning your skin is to go after any dirt left hiding in your pores. Soak a cotton ball or pad with some toner and wipe it over your face. The T-Zone area is where oil usually hangs out, so give that a good once-over. Because this product can dry out your skin take it slow and use just once a day. If all goes well, gradually increase to 2-3 times a day if needed or recommended by your doctor.